We try to limit screen time for our 3-year-old, yet he is already navigating my mobile phone with ease, and in less than a minute can change the screen from the Google Docs file I’m working on in my laptop to his favourite show on Netflix. And so I have to accept that technology is playing and will play a large role in his life, whilst still ensuring he uses it in an effective and positive way. I think I am perhaps just a little bit envious of how easily it comes to him. As a mom who grew up in the ’70s and ’80s, I didn’t see or use a computer until I went to University. And even then, it was only a small room of eight computers and a shared printer (the kind with the stack of paper that had a strip on either side with holes in it that you had to tear off when finished). And it wasn’t until I started working in the mid-’90s that I got my first mobile phone that had only call and SMS functions. As a result, I’m not very confident with technology. It takes me a long time to grasp new apps and platforms. And, to be honest, when it comes to my business, I am much more a face-to-face people person than a social media expert, and I’m quite happy to delegate that aspect of my business to others. However, knowing a little bit about social media and other internet platforms and using them in the right way can have huge benefits for our health. There are some fantastic apps out there that can help support our emotional well-being and happiness. Be in control of the technology. Platforms such as Facebook and WhatsApp are a fantastic way to keep in touch with family and friends, especially as an expat. By limiting your mobile and laptop usage, selecting the applications that bring you benefits and decluttering your technology to include only those that are useful and positive, you become the master of technology, not its servant. There is a wealth of fantastic apps that can help motivate, encourage and support a healthy lifestyle on a daily basis. Play around and find the ones that you connect with and that support the lifestyle you wish to lead. A subscription based app that provides daily guided meditation designed to help you live more mindfully. This app offers meditation, breathing exercises and sleep stories. I love this magazine. You can subscribe online or visit their website for free access to a wide range of articles. A simple and effective interactive app designed to reduce stress and help you to calm down. A free app offering a range of relaxing sounds of nature. Relax, destress and sleep better in ten minutes with this mindfulness coach app. Happify translates the science of happiness into online games and activities you can access from your phone or laptop. Incorporating the neuroscience of happiness, this app offers 52 one minute practices that can change your life. Activities drawn from positive psychology to enhance your life, allowing you to practice things like gratitude, empathy and resilience. A game to help you build resilience. With only a few minutes use a day, these apps can really improve your health and well-being. So take control of your technology and use it to your advantage. This article was originally posted by me at Über Moms. Do you ever find yourself in the situation where you really want to achieve something but somehow it doesn’t happen? Do you find yourself procrastinating, putting it off or even talking yourself out of it? Then now is the time for you to make changes. You may think that you and your conscious mind are in charge of your future self but actually quite often it is our subconscious mind that rules our thoughts and actions. The good news is I can help you change that. Our subconscious is where our beliefs and values are – both positive and negative. These beliefs drive our thinking and our actions so if you have beliefs such as ‘I’m not good enough’, ‘It won’t happen for me’, ‘I don’t want to fail’, or ‘I don’t want to get hurt’, etc then you are not going to achieve your goals of getting that promotion, making money or finding love. Instead, you will stay stuck and frustrated. So What Can You Do to Change Negative Thinking? Identifying your beliefs and where they come from is the best starting point. Understanding and changing these beliefs will get you unstuck and moving forward. As a Certified Life Coach I support women every day to understand who they are and what they think, feel and believe. The good news is that you can CHANGE negative beliefs and negative thinking and create a more positive mindset. 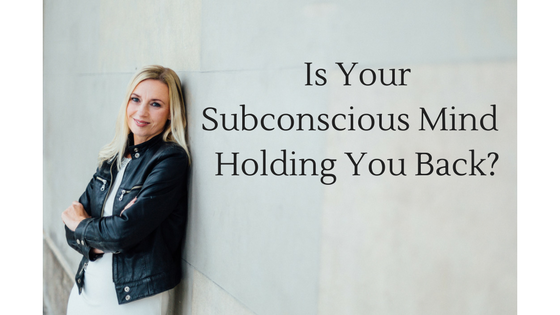 Want to start being in charge of your subconscious mind? Want to make long-lasting and positive changes in your life? ​Lets work in partnership to transform your self and to transform your life Book Your FREE Discovery Call today! One of the ways to feel connected with others, supported, content and happy is to find your tribe. Especially if you are new in a city, are self employed or a new mum, getting out and finding people who you connect with, who are supportive, positive and in a similar situation as you is essential for your happiness. We all need support, we all need help sometimes and we all have the need to connect and form relationships. Since moving to Munich I have reached out and found various groups of people to connect with as my life here has grown and changed. When I first moved to Munich, I joined Internations, a platform for expats abroad and met many interesting people in the same situation as myself and from that formed some strong friendships. I then eventually set up my own group on Internations (Munich Women’s Sport and Wellbeing) in order to run the kind of events that I would enjoy and to meet like-minded women. When I became a mother, I joined some FB groups and an English speaking mother and baby group where I met women who were all new mums and after more than 2 years we are still close and supportive to one another. I even set up my own local FB group to connect mums and dads in the area. And as I am self-employed, I knew that it was essential that I surround myself with other entrepreneurs as its often not easy working by yourself. I found super colleagues to collaborate with and a monthly entrepreneurs group called Tuesday’s Together, part of The Rising Tides Society that is invaluable for its support and motivation. From that group I recently found my tribe that would help me rebrand and relaunch my website and company. Ginny KraussNoleen Sliney and Carolin Voelker have become my A-Team on this journey for me and I can’t wait to share more about them and my journey with you over the next few weeks. Who are the important people in your life? 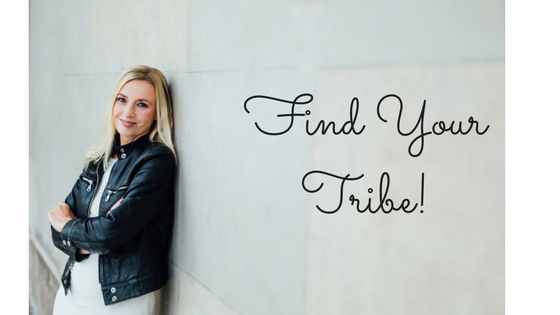 Do you need to get out there and find new people to connect with? How important is it for you to be surrounded by positive and supportive people who understand you and your life? Check out the links above for inspiration or email at julie@potentiacentre.com for support or to book a Coaching session. We all know that our ancestors used stress and the fight or flight response to prepare for danger and to survive. And that in the modern world sometimes a little bit of stress is a good thing. It protects us from danger and is perfectly normal in certain situations such a sitting an exam, or your driving test or giving a presentation. But when it happens in everyday life or for prolonged periods of time it can have a detrimental effect on our health and happiness. Stress is an emotional and physical reaction to a situation and is a state so many of us are very familiar with. The feelings of anxiety, worry and being overwhelmed along with the poor sleeping or oversleeping, butterflies in the stomach, nausea and tension are common symptoms of stress. When stressed, the body thinks it is under attack and switches to ‘fight or flight’ mode, releasing a complex mix of hormones and chemicals such as adrenaline, cortisol and norepinephrine to prepare the body for physical action. This causes a number of reactions, from blood being diverted to muscles to shutting down unnecessary bodily functions such as digestion. Through the release of hormones such as adrenaline, cortisol and norepinephrine, the caveman gained a rush of energy, which prepared him to either fight the tiger or run away. That heart pounding, fat breathing sensation is the adrenaline; as well as a boost of energy, it enables us to focus our attention so we can quickly respond to the situation. And this too is good if we have to suddenly brake when driving or react quickly in a situation, but if we live in this heightened state for too long these elevated levels of hormones and chemicals can lead to elevated levels of sugar and blood pressure. So how do I Reduce Stress? First of all you want to recognize your early warning signs. I know when I start to feel stressed, I don’t sleep so well, I feel emotional (more emotional than usual!) and I am more irritable. What are your early warning signs? Secondly, you want to see if there is any action you can take to reduce the issue that is making you stressed. Can you speak to your boss about delegating some of your workload, can you book a babysitter to give you a break? 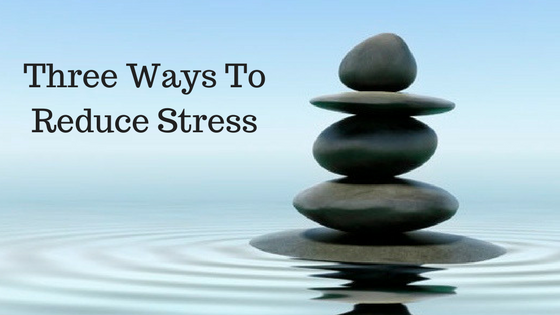 And finally, what can you do to reduce the feelings of stress? I have been supporting women for over 25 years to cope with and manage their stress levels. I know for me getting some fresh air every day, going to bed early and making more time for mindfulness practice really helps. Is it just me, or does it feel like one day it’s lovely and warm and the next we are in Autumn and it’s feeling much colder? So don’t get caught out. Be prepared and ready for all kinds of weather. And an important part of being organised is to sort through your accessories. It’s time to declutter and get rid of old and worn woollens. Keep the ones you like and feel good in. Do any need laundered, hand washed or dry cleaned? Now is the time to do that and have them fresh and ready for the cold weather. Find matching pairs of gloves. Wash hats and Scarves. Find matching sets. And get rid of any badly worn or damaged accessories or any that you haven’t worn in years. Have them all in the one place- a drawer, a shelf or in a box so that you can easily find them. And don’t forget to have that umbrella in an easy to grab location. Now is the time to make sure you have all the footwear you need for the wet and windy weather. Do any boots need to be thrown away or replaced? Do shoes and boots need cleaned? Or does anything need to be reheeled or repaired? Do that now and be ready for colder days. The colours of our clothing tend to change with the seasons and so looking out jewellery and handbags that match darker and heavier fabrics will mean you always look polished and put together. Follow these steps and the ones from the past two weeks and you now have a wardrobe deluttered, organised and ready for winter. 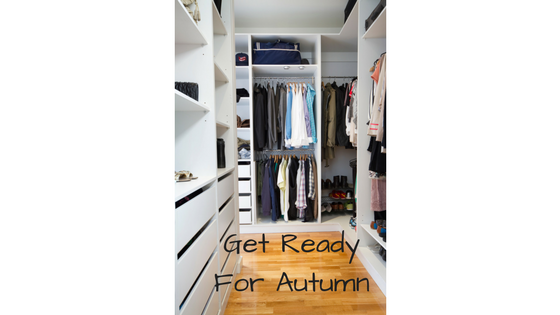 For Ideas on how to get organized for autumns check out this article. The weather is definitely changing and feeling decidedly cooler. So this week I have been going through my Autumn/Winter clothes and decluttering my winter wardrobe. I do this every year so that I feel organized and prepared for the coming cold season and so that I also feel good in all that I am wearing. By only keeping the clothes that fit me and that I feel good in, I am certain that I will be dressed warmly and practically over winter and I will look and feel my best too. Set time aside. Depending on how many clothes you have, this could be an hour or a morning or and afternoon. Remove all your clothes from the wardrobe. You need to visually see how much stuff you have! And you can now work through the pile or piles(!) and put back only those pieces you choose to keep. Start with removing any items of clothing that are so old, ripped, have holes or beyond repair. These can be binned straight away, used as rags or donated to charities who receive money for rags. #3 Do You LOVE it? Now go through each piece. Hold it up. Look at it and be honest. Do you love it? Not, did it cost a lot of money? Not, it was a present. Not, I might wear it again in the future. Simply, do you love it?And when you wear it, do you feel fabulous in it? If the answer is no, then put it in a pile to donate or sell. #4 If You Were Free From Guilt, Would You Keep It? Perhaps it was a present. Or it cost a lot of money. If you didn’t feel guilty, would you keep it? If the answer is no, then add it to the pile to go. If you are not quite ready to get rid of some clothes, hang all your clothes up with the hook of the coat hangers all facing the same way. As you wear clothes, turn the coat hanger round. At the end of the season, you will see the clothes you never wore. And perhaps then you will consider what you can do without. Taking a little time to sort out your wardrobe will have a huge impact. Not only will you feel less stressed and more organised but it will save you time and you will look and feel fabulous. 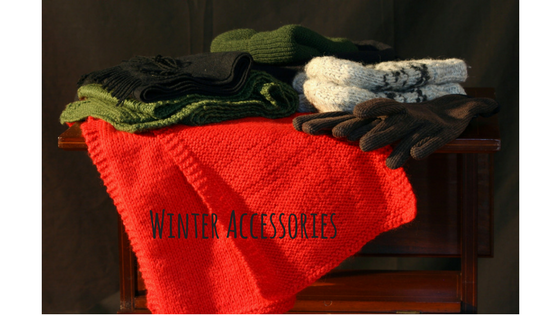 For tips on how to get organized for winter check out this article. I am just back from my summer holidays and emptying my suitcase. I’m sorting through my clothes and deciding what I can put away until next year and what I may still need. And with the unpredictable weather this week, I’m thinking about organising some Autumn clothes just in case. September is the perfect time to go through your wardrobe, declutter and get it organised for the season ahead. Over the next few weeks, I’d love to share with you my tips for getting organised. So, this week let’s start with sorting your summer wardrobe. 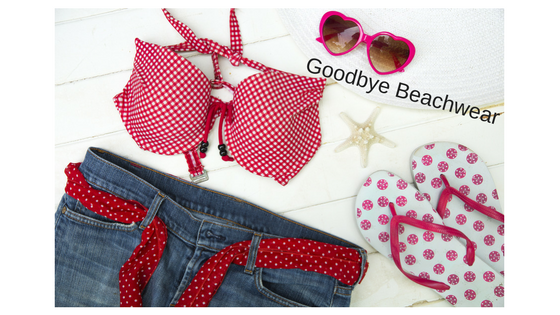 Do you have summer clothes that you didn’t wear this Summer at all? Are there any clothes you don’t love how they look on you or how they make you feel? Did you buy new clothes to replace old ones? Then now is the time to go through all of your summer clothes and be ruthless. Do you love it? Do you feel fabulous wearing it? If not, donate or sell them. Get rid of the clothes your aren’t wearing. Go through your clothes that you wish to keep. Do any need laundered, dry cleaned or repaired? Do that now before you pack them away so that they are in tip top condition when the weather warms up next year. I treated myself to a few new bikini’s this holiday but I’m not going to need them until next summer. I have a swimsuit for the swimming pool so the rest can be packed away. Along with flip flops, beach cover-ups and shorts. I love vacuum bags for storing clothes and keeping them clean and fresh. Invest in a couple and keep all your clothes neat and tidy in one place. And it will be easy to find all your summer stuff next year. Clean and repair your summer shoes and sandals and put away in shoe dust bags. Take care of your footwear to enjoy wearing them for many years to come. More decluttering tips on getting ready for autumn in this article. As an Aromatherapist, I feel strongly about using natural products on my skin. But it also matters to me what I put into my body too. As you know, I believe self care is essential both as a busy mum and an entrepreneur. And during summer feels like a good time to practice self care. 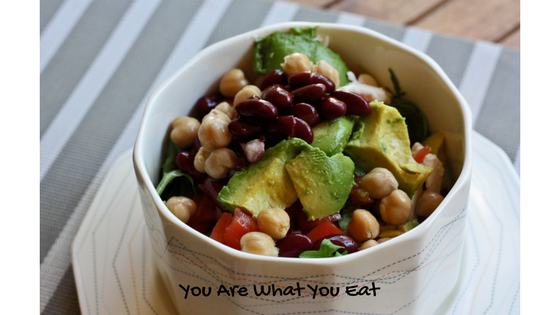 It is easier to be outdoors, to eat fresh food and to exercise. This month I made time for two spa days and a massage that left me feeling relaxed, healthy and focussed. And by making time for self care I not only feel the benefit but so do those around me. I am a better mum, partner, daughter, friend and colleague. 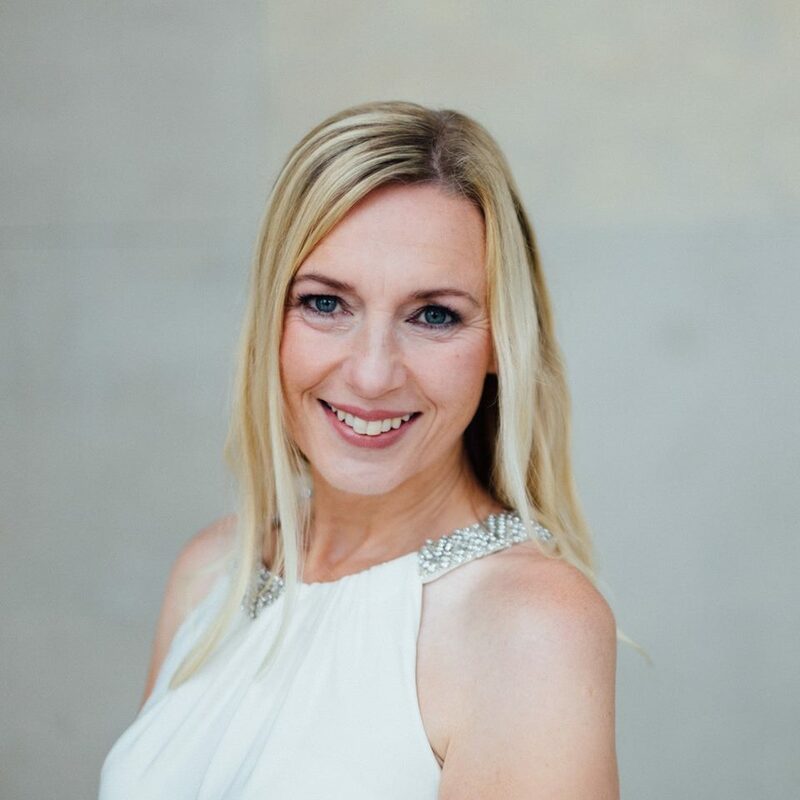 Also over the past couple of months I have been taking my self care further by working with the fantastic and extremely knowledgable Nutritionist Monika Bock http://www.nourish-alo.com/. I have always thought of myself as a healthy eater, especially coming from the west of Scotland! However, after pregnancy I had gained a little more weight and developed and addiction to sugar that I had never had before. And I was also feeling that I was lacking in energy which in turn was increasing my desire for sugar. I can’t recommend Monika highly enough. Our sessions were relaxed, professional and thorough. I felt completely trusting of her and felt no judgement from her. Only support and encouragement. It was really great to have time to sit down and talk about how I feel and take a closer look at what I am eating and how I would like to eat. After our initial session, I felt so hopeful and excited. Monika followed up with a report, meal plan and recipes which made implementing the changes so easy. After one month I had lost some weight but most of all I had curbed my sugar dependency. And I definitely feel that I have more energy. I am now motivated to eat more healthily and can’t wait for my next appointment. If it is something that is of interest for you then checkout her link. What can you prioritise for your own self care this Summer?